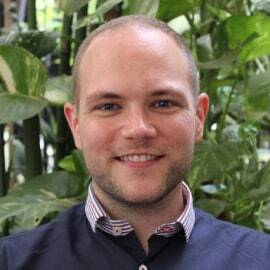 Thomas Blackburn is a sustainable development specialist with a focus on appropriate financial mechanisms with 4 years of experience in the Southeast Asia region. He is currently the Program Director at Nexus where he oversees the pipeline, due diligence, and investment for 4 pilot funds focused on scaling up clean energy and clean water programs. He has previous experience assisting with the development of Cambodia’s first community forestry REDD+ project. He holds a Master’s in International Development and a Bachelor’s in International Affairs, both from The George Washington University’s Elliott School in Washington, DC.